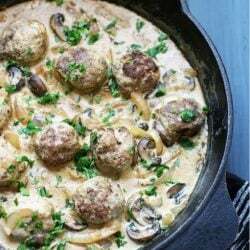 These Keto Beef Stroganoff Meatballs boast tender meatballs, caramelized onions, and toasty mushrooms hanging out in a succulent sour cream gravy. 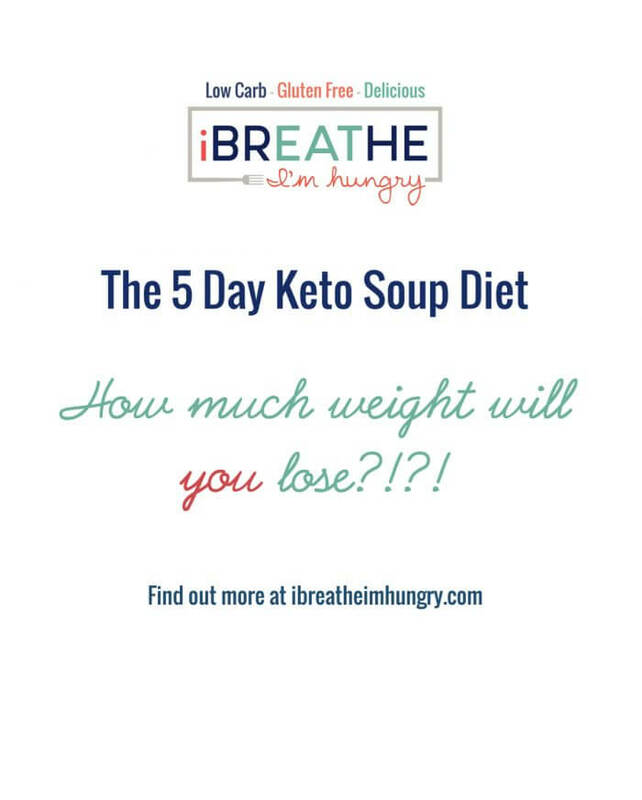 Paired with a silky cauliflower puree, this is the perfect keto comfort food! Hello Peeps! It’s been awhile since I posted a new Keto Meatball Monday recipe, but I hope that you’ll think this one was worth the wait! Before we left SC for the freezing cold North I cooked up a storm, so I have some delicious low carb meatball recipes in the queue for the next few weeks – YAY! By the way we are STILL in the freezing cold North and it gets colder by the day it seems. This morning it was -4 with a “real feel” of -26. Toasty. But I would never do that…at least not the actual kicking part. The yelling….maybe. Cold weather makes me cranky, what can I say. Please hold for a short break while I go get more coffee………………….. There. That’s better. Now, where were we before I got off on a rant…. Oh. Yes. Meatballs! 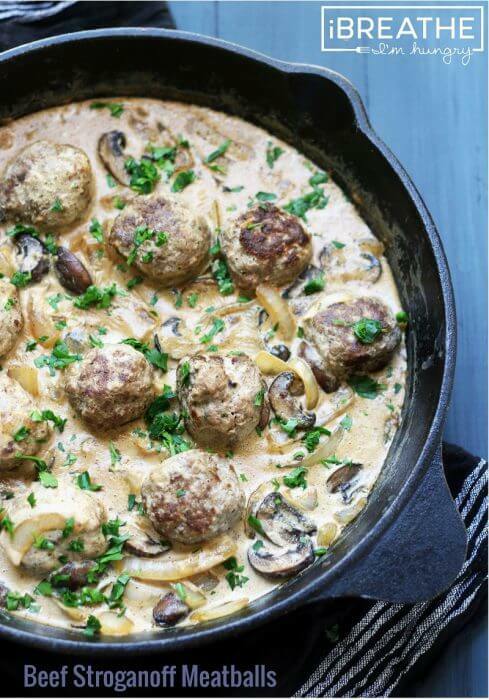 These keto Beef Stroganoff Meatballs are quite simply amazing. It’s true, I wish I had some right now and it’s only 7:30am – that’s how good they were! Mr. Hungry isn’t usually a huge fan of mushrooms, but even he loved these! Now Beef Stroganoff is typically served with egg noodles, and you could try these keto beef stroganoff meatballs with the low carb egg fast noodles from the Fettucini Alfredo recipe, and it would probably be fantastic. I served them with the Better Than Potatoes Cauliflower Puree because I was already making some and it was just easier – and delicious. So you have options – but do serve them with something to enjoy all of that delicious gravy with. Even zucchini noodles or spaghetti squash would work if that’s what you have on hand. 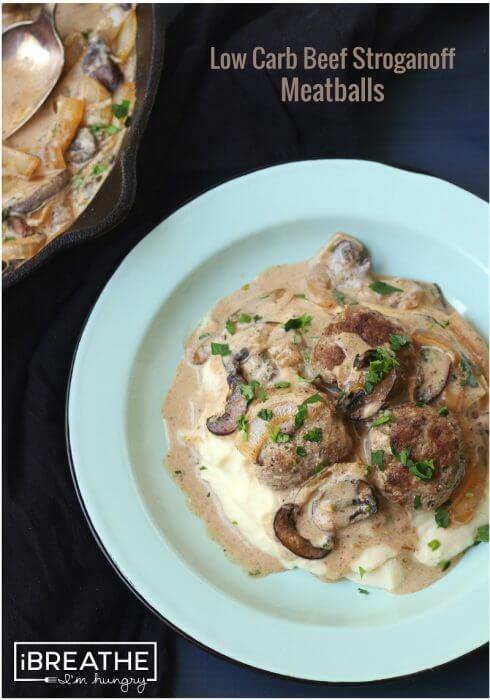 These Keto Beef Stroganoff meatballs are inspired by the classic dish of beef simmered in a sauce of mushrooms, onions, and sour cream. Low carb, gluten free, family friendly! Combine the meatball ingredients (except the butter) in a medium bowl and mix well. Heat the 2 Tbsp of butter in a large, nonstick saute pan. Remove the meatballs from the pan and set aside. Add the 1 Tbsp of butter and the 2 cups of sliced mushrooms to the pan. Remove the mushrooms from the pan. Add the onions and garlic and cook for 3-4 minutes or until softened and translucent. Remove the onions from the pan. Add the beef broth to your pan and scrape the bottom to get all the yummy bits off. Whisk in your sour cream and xanthan gum until smooth. Add the meatballs, mushrooms, onions and garlic back to the pan and stir. Garnish with the fresh parsley right before serving. If you love meatballs (and who doesn’t?) be sure to check out the Recipe Index where we have over 45 low carb and gluten free meatball recipes to choose from! Have you tried all of them yet? What’s your favorite?!?!? I love them all, but I’m especially partial to the Meatballs alla Parmigiana and the Spinach and Artichoke Dip Meatballs lately – so if you haven’t tried either of those yet, put them on your list STAT! I made this last week and making again today! Loved the recipe with some minor changes for preference ( i seasoned differently and i am using less almond flour this time). Love the sauce and i am adding cream cheese to thicken. I also double the onion as i love caramalized onions! This was the second time I’ve made this, and we both love it. I also made cauliflower rice as the gravy is delicious and needed to go over something. In my pre-Keto days, it would have been mashed potatoes. I saw that someone put a pat of cream cheese in to help thicken the gravy, and I’ll do that next time too. This is one of our favorite recipes. Thanks for sharing! 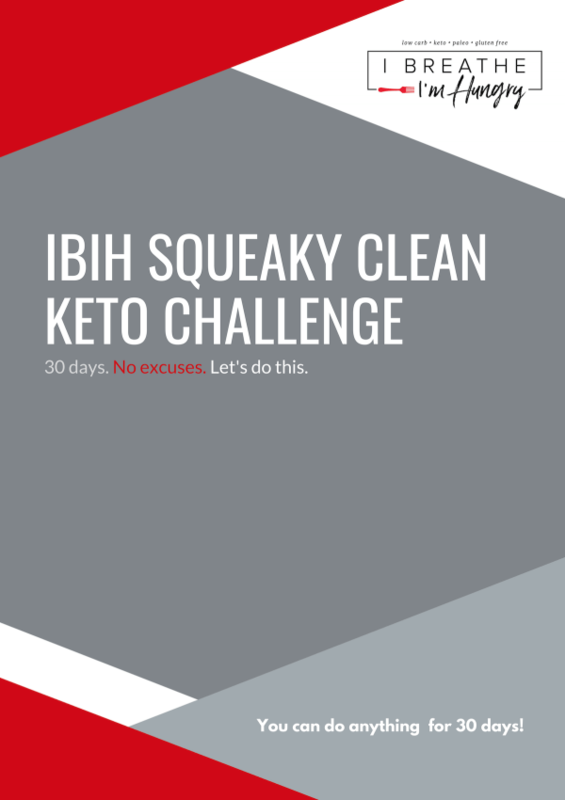 I made this last night (also made it in October) and have shared it with my Keto friends. It’s one of our favorites. 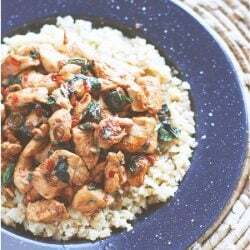 I made cauliflower rice as I knew the gravy was one of the best things about this dish. I read that someone used cream cheese in their gravy, and I will add that the next time I make it. Truly delicious. Thanks for sharing!!! So, so good!!! Always double meatballs for a 2nd meal! The sauce is out of this world! Even drizzled over green beans! Served over mashed cauliflower/potatoes. My husband doesn’t like mashed cauliflower but I have found that if I add one potato to the frozen cauliflower and cook in chicken broth, the cauliflower smell and flavor is gone. Drain well, put back in hot pot to cook off any remaining water, mash, add butter, cream, sour cream, salt and pepper and you have some outstanding “mashed potatoes”! My husband loves them!! Thank you so much for the wonderful recipe!! If there’s a tag for “comfort food” this should have it. So delicious and exactly the flavor profile I was after! Absolutely delicious!! Comfort food at its finest! I made this exactly as the recipe says and I wouldn’t change a thing. Thank you for sharing this with us! Amaaaaaaazing! 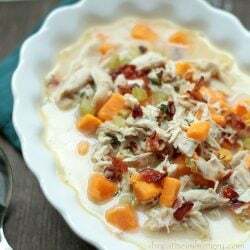 Found the recipe on Google while searching for delicious, low carb dinners. My fiance loved it and even licked his plate! We made it over mashed cauliflower which is a perfect combination for a guilt free meal! just made this recipe for my meal prep for my work week and all I can say is WOW! I ended up doubling the meatball recipe and added in Italian Mild Sausage since I wasn’t going to eat anything else with this and I think adding in the sausage made it even better. my mouth was watering as I was cooking it. Definitely one of my go to meal preps. Thanks for the recipe and can’t wait to try more from you. Thanks so much Taylor, so glad you liked it and I’ll have to try adding sausage next time! I think I might love you. I won’t be making this due to my disabling fatigue but it was still enjoyable to read the recipe and have my day dreams. Can you freeze the meatballs with the sauce…will it heat up in the microwave ok?? Would it work to sub the sour cream with full fat coconut milk? It will be creamy but the flavor will definitely be different – not necessarily bad, just not the same. Wow. This is amazing. I have made it three times and it’s my new fave. Comes out perfectly every time. Soooo good!!! Thank you!! I made this dish on Saturday evening, it was a huge hit made with cauliflower pure. Thank you for your good recipe. It’s a presentation for me. When I will made it for my family members, It will be surprised for them. Delicious!!! Husband and son both raved about how good it was! Since I am doing lower carb, I used one tablespoon of flour in place of the xanthan gum to thicken the sauce. Followed the rest of the recipe! Definitely a favorite! I was wondering if you had ever tried ground turkey instead of beef? We just prefer the taste of turkey over beef. Also, I wanted to say that I have NEVER heard anyone else mention the “nose hairs freezing” besides me. I always knew it was below 10 degrees when your nose hairs freeze. Love your recipes! I haven’t tried turkey Diane but it would work just fine in this recipe! It’s been awhile since I’ve been up north when it was that cold and I have to say I don’t miss it lol! Can the almond flour be substituted for something else? This sounds like a great recipe and I want to try but my husband is highly allergic to almonds…. You could try coconut flour! This was delicious! I went right to my favorites list. Thank you!! This was an amazing recipe. I did think the sauce needed the addition of a little more salt, but that is my personal preference. I didn’t want to wast any of the sauce so I served this over Cauliflower Rice. My husband and I will bring the leftovers to work for lunch. I will make this again. Just made this last night. What a great recipe! I poured it over cauliflower rice, and felt like I was in a swanky restaurant. Well, not really, because I had my three rescue dogs begging. Next time, I’ll make the meatballs and freeze them, and just make the sauce. This quickens up the whole process. Thanks so much! I have made this a half-dozen times, never fails to satisfy. I don’t even miss egg noodles or rice. This is truly better than the original! Thank You! Made this tonight. Was awesome. Just made the meatballs and they are amazing! Wish I’d done a double batch. Anyone have suggestions for prepping the sauce components for freezer? Trying to prepare for a busy couple of months at work. Delicious. 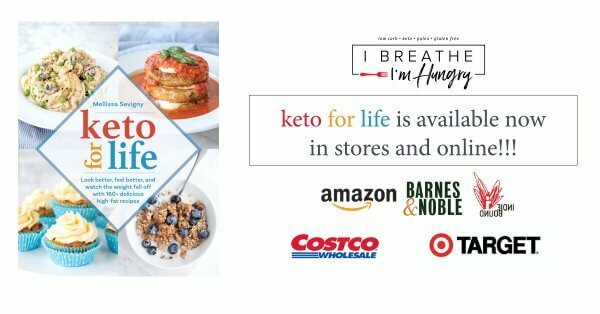 Thank you for helping me stay on my low carb diet. You have the best recipes! I know because I scour the internet searching for upscale recipes to try. Yours never let me down. Thanks so much Mindy, that means a lot to me!! Made this tonight, using TJs frozen meatballs cuz I had them and I was lazy. Made wide egg noodles for the family and mashed cauliflower for me. Very good and everyone (ages 14-49 years old) thought it was worth making again. Thanks! Would it work with just the ground beef, and not patties? Has anyone tried this with spaghetti squash? How’s the flavor/texture? I suppose you could brown the mushrooms and onions and add the rest of the gravy ingredients and pour it over the uncooked patties. You may need to increase the liquid a bit though to account for evaporation. Let us know how it comes out if you try it! Making this tonight for the family. Thanks so much for this great recipe!! Made 5 batches for my sons grad party….baked and froze…thawed and added to sauce…so many compliments! Thanks again! Glad it was a hit Liz, thanks for letting me know! What is a serving size? Am planning on trying soon, looks like one my fam would eat. Comment to post above….I like the heavy/firm meatballs. Filler is just to stretch the dollar, plus they are more likely to fall apart. The sauce helps with moistening. They are NOT dry. Thanks for the wonderful great tasting, real-homemade recipes. Fantastic recipe! My sons and husband loved them! Next time I will dice the onions..won’t change the flavor, just preference. Thank you for the delicious, gourmet tasting recipe. I just made this for my husband and myself. We both just started a low-carb diet, and this was the first recipe I picked. It was very good. I chose to make up some zoodles and dump them in with the onions. It was really good, and I will definitely make again. P.S. The husband is pretty picky, so I am rather pleased! What does 80/20 mean in terms of the ground beef ? When you buy ground beef (in the states at least) it will usually have a percentage of fat to lean – 80/20 is the fat to lean ratio that I find works the best for meatballs – if they don’t break it down where you live it’s usually called ground chuck! is the 80/20 considered lean or medium?? So I made these may 1st. And I’m made them again last night, may 11th. This time I made more smaller meatballs so I can sneak one or two every now and then and not feel too guilty. These are WAY TOO GOOD. On next weeks grocery and meal list, I am going to include more of your recipes. Wow. This is the best stroganoff I’ve ever made/eaten! I added maybe a tablespoon of Italian bread crumbs, and a teaspoon more of Worcestershire sauce to the meatballs. I served over mashed baby yellow potatoes, mixed with vegan sour cream, chives, and a dash of almond milk. I had my one serving and my boyfriend had 2.5! So glad I have leftovers for lunch tomorrow. Thank you! In all my sauce making days, I’ve learned you can use cream cheese as a thickener! :) I will try this recipe tonight and use a pat of cream cheese in place of butter (or both maybe haha!) Thank you for the recipe, my low carb ground beef recipes were struggling. Thoroughly enjoyed by the whole family. This will be a regular rotation for us. This sounds amazing! I’m trying this tonight! I’m going with the pureed cauliflower, as well! My boyfriend’s grandson is GF and coming for dinner so this meal is perfect! Thanks! Did not like this recipe. It needs filler to make the meat not so heavy. Sorry you weren’t a fan, you can increase the almond flour or add crushed pork rinds to bulk them up further if you’d like. I had procrastinated going to the grocery storm before this storm in DC and there wasn’t any fresh meat or vegetables left at the store. I picked up a package of pre-made meatballs, something I had never bought before. I used those meatballs and made the sauce per the recipe (nope, substituted chicken broth) and it turned out fabulously. I was amazed that I had all of the ingredients in the house. I served it over organic riced cauliflower from Trader Joe’s. Definitely will make again with your meatball recipe. Glad it was a hit even though you had to improvise Jane! Sounds like perfect storm food to me! Nice recipe. I made this last night and the family enjoyed their meal. I used 1/2 grass fed beef and 1/2 ground turkey and everything else the same. It does make a lot of sauce so I would make 1 1/2 of the meatballs so the excess sauce does not go to waste. 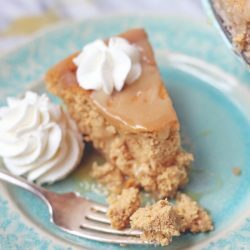 I am having to do without an oven for a week or so – would this recipe be possible in a slow cooker? Love the sound of this ! These were amazing! The meatballs will be my go to for other recipes from now on too. I didn’t have onion or garlic so I subbed powder, also I’m not a mushroom fan so left those out and it was still delish. Had over zoodles. Hubby approved as well. Thank you! Really late to the party here – but I’m wondering if I use 96/4 ground turkey (1g fat per 4 oz serving) for the meatballs, how does that change the nutritional facts for the serving size. I didn’t know how you computed that out on your end. Thanks – looking forward to trying this in the new year to replace my everyday chicken/sweet potato/broccoli. I’m sorry I don’t have time to calculate for each person’s adjustments Jared, but if you enter the info into MyFitnessPal or CalorieKing you can find out exactly what it would be with your changes! Just a quick question . I’m trying these for the first time tonight and they look fantastic. Any time I find an awesome recipe i share it with my BFF. They have several food allergies, one being a dairy allergy. My question is could you substitute the sour cream for coconut cream instead? If you know already that would be great or I can just make this again next week and let you know. You could, it would change the flavor a bit but should still be good! yes!!!! I have a large family (10), so I had to enlarge the recipe. It was spectacular!!! I served it over broccoli noodles. Thanks bunches! Looks fantastic. 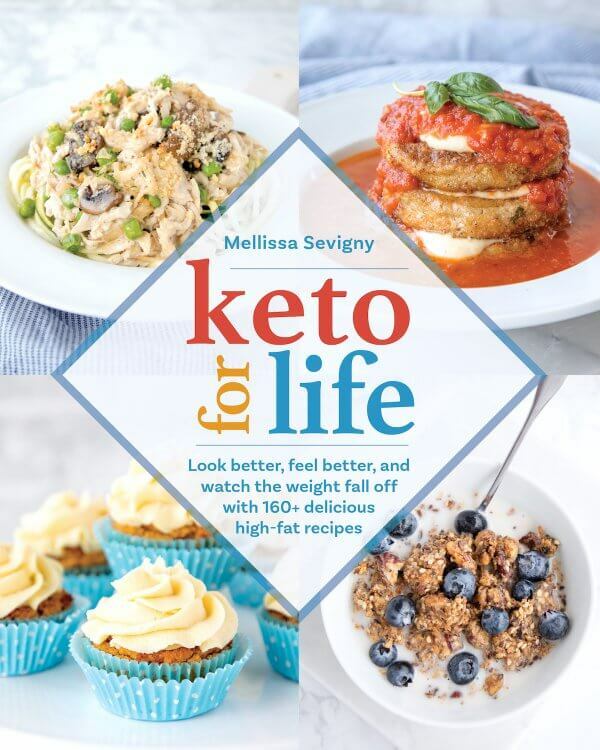 I discovered an interesting thing recently when making a keto stroganoff for myself. I used to always use some wine in my sauce, it gave it this extra something that made it perfect. Well I decided to try using Fine Herb Goat Cheese in place of sour cream and in place of the wine because goat cheese has a bit of a tang. I usually just use one of those little logs you can get at any store. It melted perfectly and gave it such a perfect taste! I sometimes thin it a bit with some HWC. Anyhow I just wanted to share. I adore all your recipes!! Definitely goimg to try this. Was wondering though if you had a substitution for worchestershire sauce? I am not able to have any sugar no matter how minute. Really wish they had a sugar free one as it is one of my favorite seasonings. You can try coconut aminos or just omit it if necessary! Thanks. As soon as I feel up to it I will definitely try this recipie. These look amazing and I would love to make them for my diabetic husband. The question that I have is that his DR told him not to do the Net Carb thing that it is better to watch the regular carbs. Do you have the nutrition values for you recipes that are not net carbs? I am on my fourth week of low carb eating and was getting kind of bored. I tried this recipe last night using just your sauce with the mushrooms, onions, and some butter steak strips. Wow! 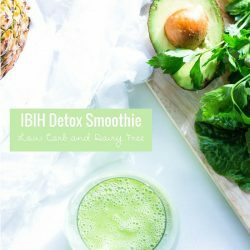 It is delicious and easy! Thank you for adding flavor to my new eating habits! Happy Monday! 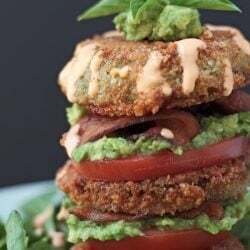 Just letting you know that I featured this recipe in my Deliciously Healthy Low-Carb Recipes Round-Up for last month. Hope a lot of my readers will click over here and try it! Hey there! These look so yummy! We aren’t gluten free or low-carb in my house though. As for the sauce, the xantham gum is just a thickener, yeah? So we could use wheat flour to make a thick-ish sauce? REALLY looking forward to making these tonight! I made this for the first time tonight for my family. I have 3 teenage boys and it was a hit with all 3. My hubby loved it as well. A definite go to meal from now on. Thank you for all of these great recipes. They really help us low carbers stay the course. This was delicious and easy! I made it with ground turkey and subbed cooked quinoa with a tsp of psyllium husks (what I had on hand). The sauce was fabulous (and I don’t even like mushrooms). Next time I make this I will serve over cauli rice. It’s been ages since I’ve had stroganoff so I was glad to have found this recipe! Thanks! Ok I made this again tonight and it is definitely going to make a regular appearance on our table. The whole family loves it! The first time I tried low carb years and years ago, I used to make a “mock” beef stroganoff… I ate it almost every night! Back then the low carb recipes and websites were few and far between. Your version looks much better than the one I made. I am looking forward to trying it! A suggestion for a quick easy “noodle” is frozen French cut green beans… It’s what I used long ago before I ever heard of zoodles (which I really want to try!). Can the cooked meatballs be frozen and heated up with the same great taste? What about freezing before cooking. Any suggestions. I made the Marinara Meatballs the other night and they were fabulous. Best recipe that I have made in a LONG time!!! My husband found it on FB and was glad he did, Thanks!! On the weekend, we got snow, followed by rain, followed by flooding, and topped with freezing. I can’t leave my house right now. BUT I WANT STROGANOFF. I just hit a meat market, one where I’ve never shopped (apparently, they’ve been open since 1920). Among other things, I bought a pound of ground chuck, and a pound of ground sirloin. They’re marked terribly, so I won’t have a clue which is which until I open them (if I can even discern the difference). I don’t think I have enough mushrooms to double up on those, but I kind of think I’m going to double the recipe, and it will just be light on mushroom. Not a big deal. Sounds great Rachel – and I know what you mean about having the food ready to go, but not feeling like cooking it! Welcome to my world lol! What might I use in place of the almond flour, which I’m allergic to? Lots of people use ground pork rinds or you can use grated parmesan cheese in place of the almond flour! Enjoy! Thanks, Mellissa, both sound wonderful. I was just wondering, we have a nut allergy and many flours are out for us. I was thinking flax meal would work? And would fine flax meal work in place of xantham gum? 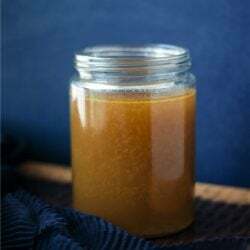 Flax meal would work in the meatballs but the flax in the gravy would probably be gross – you’re better off omitting it and just having a looser sauce I think! We made this for dinner last night and it was awesome…. I cannot stand mushrooms so I left them out and the taste was fabulous… I also doubled the recipe and baked all the meatballs instead of frying them, just adding them to the sauce afterwards. I served it with cauliflower puree and cabbage noodles :) Keeper recipe! thanks! 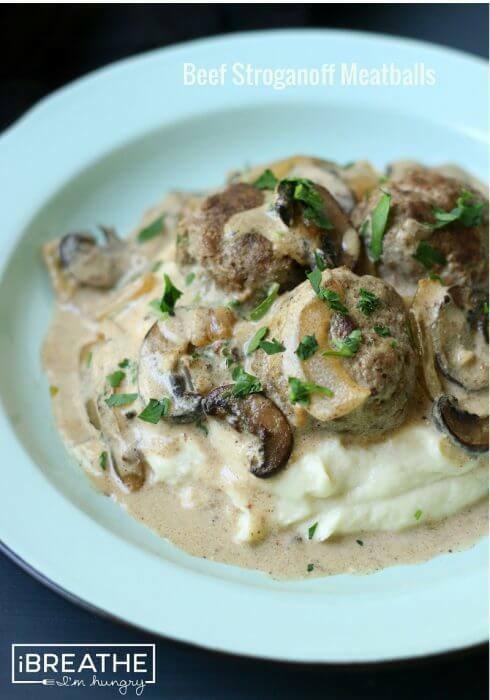 So glad you liked these meatballs Debs, and it’s a smart move to double the recipe! Glad to know that the baking works on this one – sometimes I miss the flavor of the seared meatballs when I bake them and I wondered how it would work out in this recipe so thanks!!! I made this last night and it was SO GOOD!!! I put it on cauliflower rice to help soak up some of the sauce, with a side of roasted asparagus. DELICIOUS! Thank you! Stroganoff is one of my favorite flavors! I can’t wait to try this! I’m thinking that a 50/50 mix of beef and pork would be good as well? I’m always a fan of mixing beef and pork in meatballs or meatloaf Laurie! Let me know what you think! Looks amazing! I will definitely be making these next week! Awesome Leeann, let us know how you liked it and what you served it with!! Then leave it out, or use a thickener of your choosing. I don’t have xanthem gum, can it be substituted with arrowroot starch? Yes – that will work just as well Kaye – enjoy! These meatballs Look good, I am making these for Monday nights dinner. 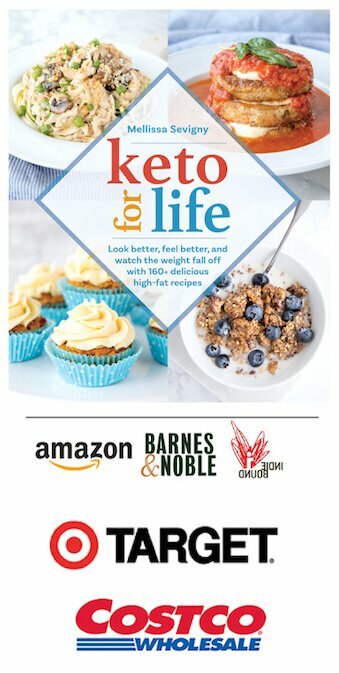 Do you have another ERecipe book coming out soon? I have four of your Ebooks and I cook from them all the time. 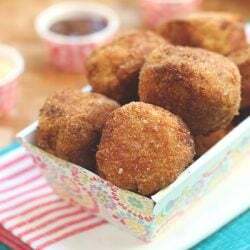 Our family favorite is cornless muffins with bacon crumbled on top. SO Very Yummy. I didn’t have xanthan gum so I thickened mine with cheese, it came out fantastic! I’m snowed in today, but, surprise!, I have everything I need to make these. I love beef stroganoff. I’m having steak and asparagus for dinner tonight, but I’ll take the ground beef out of the freezer today and make these tomorrow. Ooh, can’t wait to hear what you think of them Jan! Please report back!!! Also you can never go wrong with steak and asparagus – yum!!! Melissa, those were spot on! I thought about cutting the recipe in half, but I’m glad I didn’t. Now I have 3 more servings to take to lunch or have for a dinner repeat. I had the stroganoff with zoodles – I enjoyed it greatly. Thanks for another great recipe! So glad you liked this one Jan, thanks for letting me know! Leftover meatballs are ALWAYS a good thing, amiright??? ?